If you’re like a lot of people who have a tattoo, you were excited when you got it – confident that you’d love it forever. But now that you’re older (and wiser), you may be having regrets. Perhaps the tattoo no longer reflects your style. Or maybe you want to put a different tattoo in its place. You can’t go back in time and never get the tattoo in the first place, but with today’s tattoo removal technology, you can eliminate it. In the past, tattoos were removed in a number of painful ways, like dermabrasion, acid, and surgical removal. Thankfully, tattoo removal has evolved. These days, tattoos are removed through the use of lasers. Although there are several excellent laser technologies on the market, at Optimal we use the enlighten™ laser system. The enlighten laser is a revolutionary tattoo removal system that utilizes nanosecond and picosecond technology to send ultra-short bursts of light through the upper layers of your skin to where the ink is located. These light pulses don’t hurt and the sensation is no more painful that lightly snapping a rubber band against your skin. To give you an idea of how fast the light pulses are, consider that a picosecond is one trillionth of a second, which is a thousand times faster than a nanosecond. Over the course of several treatments, the laser light breaks up the ink into tiny particles that are absorbed by your body. After absorption, your body eliminates the minuscule ink particles through its normal processes. With enlighten, you could require up to 40 percent less treatment sessions than other laser tattoo removal methods. The reason we offer both picosecond and nanosecond technology is to give clients the option to choose the pulse speed they prefer. Generally speaking, we recommend the picosecond for dark ink tones and dense designs. 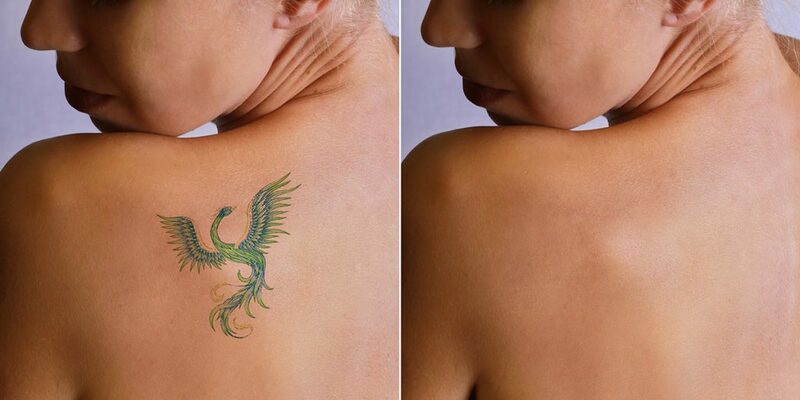 If you have a light or shaded tattoo, using nanosecond is usually sufficient. No other device currently exists that enables tattoo removal practitioners and patients to choose pulse speed based on individual factors. Skin types from extremely light to extremely dark can all benefit from the enlighten laser. Tattooing your (former) love’s name may have seemed like a good idea at the time, but now you’re over it. No worries…your regrettable tattoo can soon be history. If you’re ready to remove, then we’re ready to help you. Give Optimal a call and we can evaluate your tattoo and let you know how many sessions you should expect. This differs for each person based on ink colors, age of the tattoo, location, composition, depth, and a number of other factors. 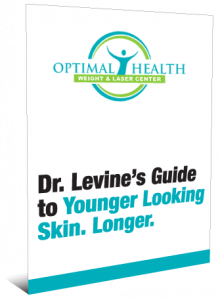 With a variety of services designed to help you feel and look your best, Optimal Health, Weight and Laser Center offers free no-obligation consultations.